A Georgia food processor linked to a deadly salmonella outbreak shipped thousands of pounds of peanut products after learning its products were contaminated and cheated on testing, a former plant manager testified this week. Samuel Lightsey is a key government witness against his former boss, Peanut Corporation of America owner Stewart Parnell, and two others. He described documents to jurors that show Peanut Corporation shipped peanuts to companies in Missouri, Illinois and other points after receiving laboratory warnings that product samples had tested positive for salmonella. In other instances, the company cheated on safety testing by switching samples, Lightsey said. In one instance, company records from September 2007 show the firm requested testing on a sample of peanut paste made for Kellogg’s before plant workers actually made the paste. Lightsey said company workers had pulled a sample from an earlier batch. Prosecutor Patrick Hearn asked whether the company could have known whether those products were safe. “They would have not known unless they had additional samples pulled,” Lightsey said. 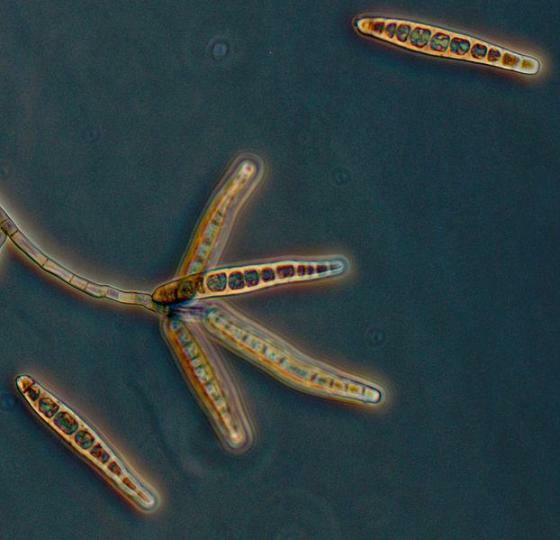 The 2008-09 salmonella outbreak caused one of the largest food recalls in U.S. history. Food safety investigators found more than 700 people across the country were infected and nine people died — three in Minnesota, two in Ohio, two in Virginia, one in Idaho and one in North Carolina. Lightsey examined photographs showing evidence of water leaks and described sanitation problems inside the plant. Salmonella can be spread when outside water carrying contaminants seeps into a food processing facility. The photographs showed what Lightsey described as mold and mildew, water stains under a vent in a packaging room and condensation around plant fans. Lightsey said workers kept a pellet gun inside the facility so they could shoot birds that got inside. Three have died due to meningitis in Los Angeles, the L.A. County Department of Public Health said Thursday. The department announced their have been eight cases of invasive meningococcal disease in the county so far this year, the L.A. Times reports. Invasive meningococcal disease causes meningitis, an inflammation of the the meninges, the protective membrane surrounding the brain and spinal cord. 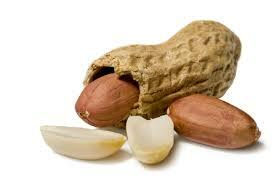 It can be spread through exposure to sneezing and coughing and contact with saliva and mucous. Kissing, sharing beverages or cigarettes, and living in group settings can transmit the bacteria responsible for infection. 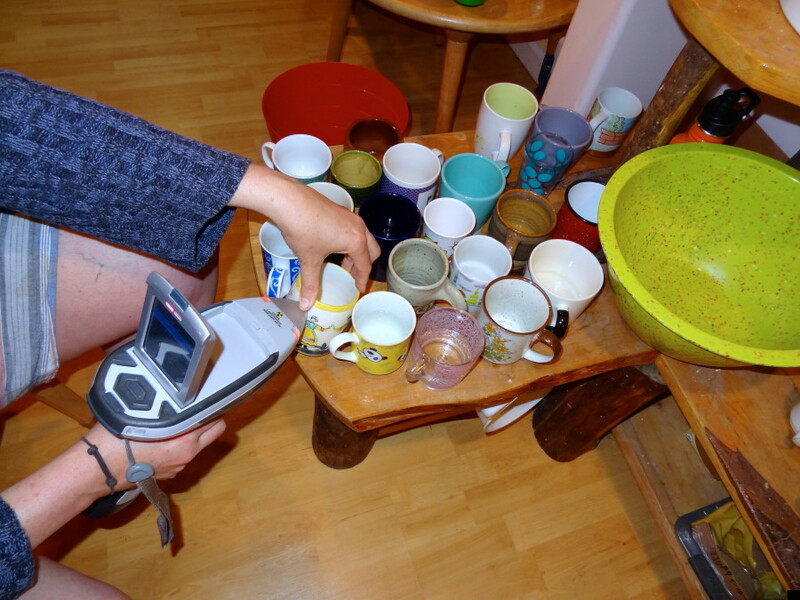 Symptoms usually onset within five days of exposure to the bacteria, and may include a high fever, stiff neck, aches, and an aversion to bright lights. 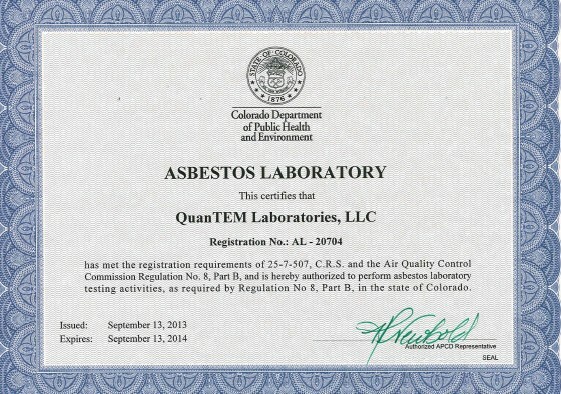 The Colorado Department of Public Health and Environment has issued QuanTEM Labs a certificate of accreditation authorizing us to perform asbestos lab services for samples collected in Colorado. We’re looking forward to serving our Colorado customers. If you’d like more information or to set up an account with us please contact us at 1-800-822-1650.